If post-internet culture has taught us anything (and as I’ve joked about on here before), the best way to gain interested readers is to wait until the subject at hand is far enough in their rear-view mirror so that their fatigue over it has dissipated. That is the complete fabrication I’m going to lean on as to why I’m posting about the 2017 American Association of Geographers Meeting more than six weeks after it ended. But, like AAG meetings prior, I had a great time, learned a lot, and met many great people whose contributions I’d like to share here. The simple truth (which many of you who know me may have already guessed) was that I came back to Knoxville and had my hands full with some very time-sensitive academic proceedings. After a brief sojourn in Florida (which will have its own entry in Part III… yes there will be three parts to this) to attend the wedding of friends whom I introduced to one another back in the halcyon days of 2014, I flew back to Knoxville despite the best efforts of Allegiant Airlines to keep us in the St. Petersburg airport indefinitely. As soon as I was physically and mentally able, I launched straight into preparation for my dissertation defense, slated to happen the following Monday morning. I’m grateful to say that I passed, and with great assistance and motivation from my committee, completed my revisions in time to complete my formatting work with the UTK Thesis Office by the drop-deadline of that Wednesday. 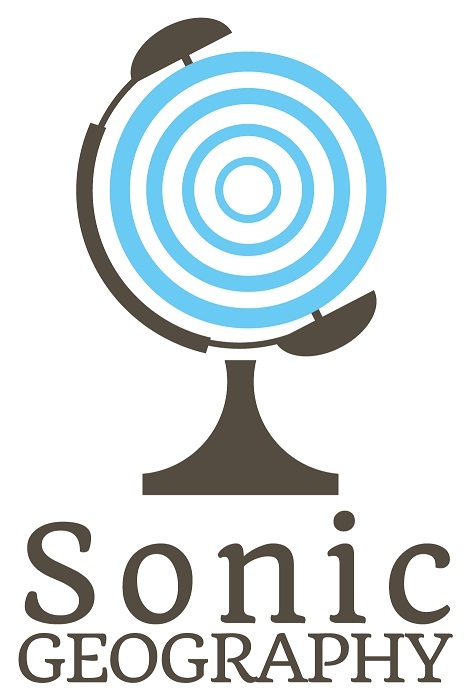 So, I write here for the first time as Dr. Tyler Sonnichsen, and I couldn’t be more honored. Dr. Van Riemsdijk, Dr. Bell, Dr. Alderman, sleep-deprived almost-Dr. Sonnichsen, and Dr. Gay. Those of you who know Dr. Alderman would not be surprised to know he made fun of me for wanting to take this group photo. Of course, once I met the graduation deadline with my manuscript approval and form submission, I had a plethora of piñatas other items to cover which I had relegated to the back-burner after getting back from AAG, and that bled into end-of-semester duties, finals week, [insert excuse here], [insert excuse here], and commencement. THAT’S more like it! Here’s a better visual representation of Boston in 2017. Luxury condos practically sprouting from the ground like beanstalks in the South End, the construction towers blocking once-nice views of the city. The silhouette you see there is my father, who came up for the day on Saturday to meet me and see an old friend, whose living room we see pictured here. 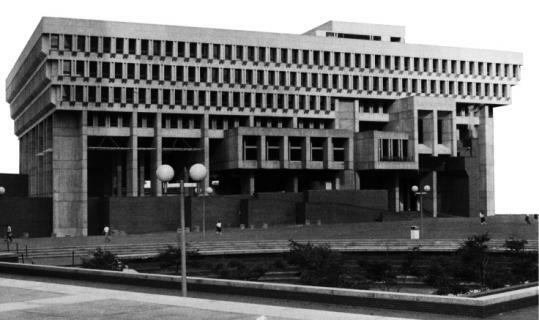 For as long as I can remember, Boston has been maligned as one of the country’s most expensive cities, and for a complex list of predictable reasons. Many of the Baby Boomers who moved out to the suburbs in the 1980s during the so-called ‘Massachusetts Miracle’ are taking advantage of the downsizing and accessibility that comes with moving back into the core of a very small city. My parents, though they are not in the class of urban returners, have completely engaged with Uber and Lyft whenever visiting friends in New York, Boston, Los Angeles, or wherever they go. It’s pretty gratifying, actually. I cannot even attempt to quantify how much suffering we prevented and money we saved by taking a Lyft into the North End for lunch. It also did not help that we chose to do so on (1) a Saturday, and (2) a game day for the Boston Bruins nearby at TD Banknorth Garden (in which of course they were soundly defeated by my beloved Washington Capitals). We did discuss going to see the game, but again, we were in Boston, and even the nosebleed seats were out of our price range. 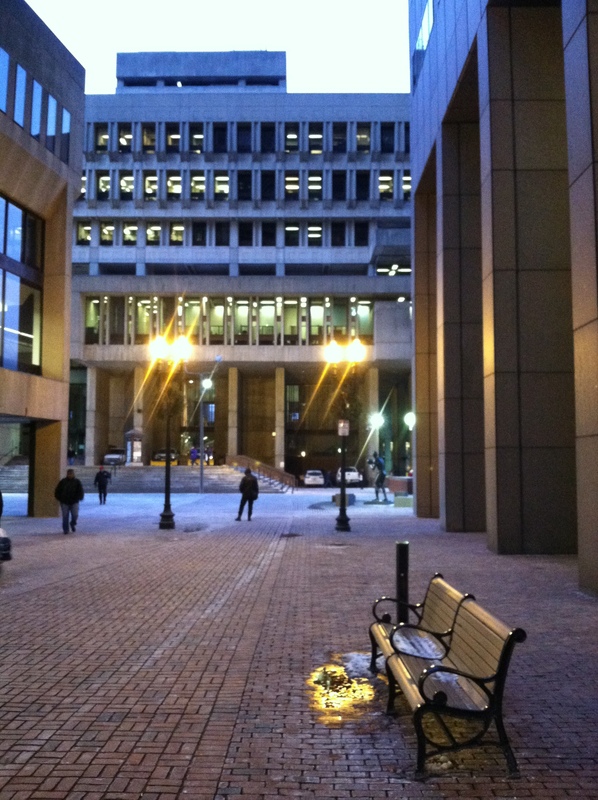 In all of my visits to the city, I had never been to the South End, which considering how it was mainly an industrial neighborhood centered around the old Boston Herald office, is not surprising. More recently, though, the city has overseen the neighborhood’s redevelopment into a block of luxury condos and all the predictable accouterments: Whole Foods, yoga studios, and high-security parking garages. The neighborhood’s title (Ink Block) and building names (e.g. Sepia) recall the area’s pre-gentrification history. As I alluded above, this year’s AAG was somewhat abbreviated for me. I arrived on Tuesday night, having traveled with a new friend from the UTK Anthropology department on her way up to present a poster. Somehow, I had not anticipated how bleak the weather would be; even in the transit station (mostly indoors) it was freezing, and after my friend and I parted ways after emerging in the Back Bay, I walked through hypothermia-inducing drizzle and wind for what felt like a mile (it was three blocks) to locate the Copley Marriott. 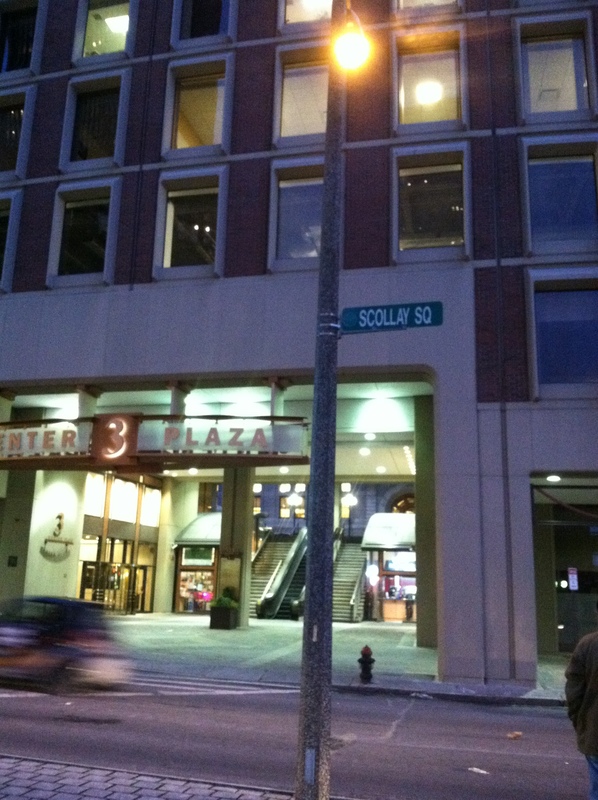 The core of this year’s conference was held in and around the Hynes Convention Center, the Copley Marriott, and the Sheraton Boston, all of which were connected through a tunnel-and-mall system. Considering how miserable the weather was for approximately half of the conference week, it was convenient not to need to go outside to attend any official part of AAG. Here is a visual of the 3-block span. Though made somewhat necessary by the nasty weather, this was a quintessential case study of the postmodernist urban design that Angelenos like Michael Dear wrote about as they started seeing it crystallize around Los Angeles thirty years ago. It took deceptively long to get from a session in the Marriott to a session in Hynes or the Sheraton, as I had to do several times. 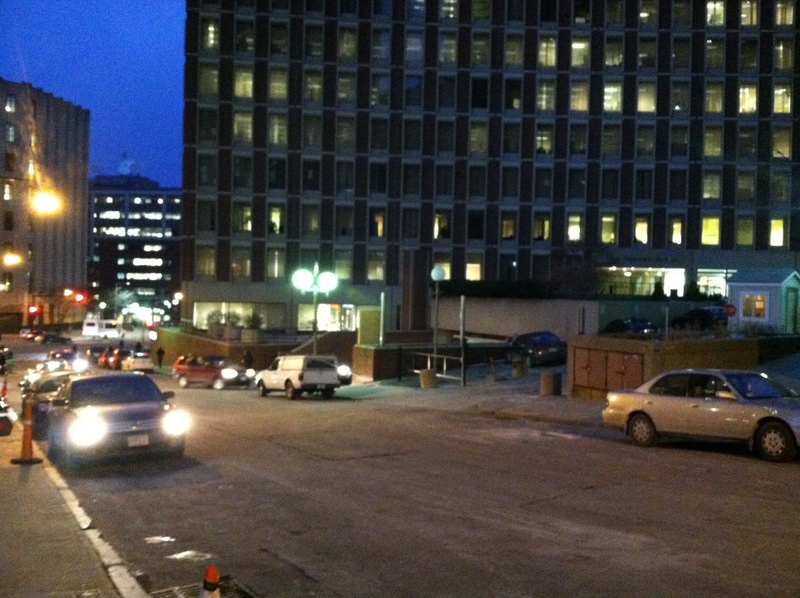 Also, there was an island of walled-off construction in the Prudential Center mall at the receiving end of the Huntington Avenue footbridge, which did not ruin anything but was slightly cumbersome. The mall included one of everything, notably, consistently-slammed Dunkin’ Donuts and Sweetgreen franchises, both of which would play prominently into my conference week. The Cultural Geography Specialty Group decided to hold their annual breakfast at the Dunkin on Thursday Morning, despite a rapidly accumulating hell-crowd of Geographers and mall employees trying to get their wake-up wraps and Dunkaccinos. That being said, Dunkin’ Donuts is a New England institution and this one was particularly overcrowded – both dynamics as Bostonian as anything. Ironically, we could not have been a more authentic cultural experience in the most inauthentic of settings. As for Sweetgreen, I finally found an excuse to get lunch there on Friday with a good friend and former colleague. I had not eaten at Sweetgreen since going to one of the original locations in DC. The burgeoning chain had actually been founded by a group of Georgetown kids shortly after I moved there, and every time I’ve seen one of these locally sprouted chains show up in a (somewhat) far-flung city I tend to get excited for the founders. I had the same reaction seeing a Jeni’s Ice Cream stand in Atlanta. Entrepreneurship is worth the pain and struggle when you’ve got something fantastic you’re selling. Wednesday morning presented me with my only free stretch in which I could go looking for a few specific landmarks (to be detailed in Part II), so I said hello to some colleagues in the morning and quickly slipped out in the general direction of Downtown Crossing and Cambridge. I made it back in time to catch a paper presentation by Sarah Gelbard, who had reached out to me a couple months prior because our abstracts were the only two out of the (virtually) millions at AAG to feature the term “punk.” Sarah’s paper on ownership of punk venues in Ottawa was part of one of Simon Springer’s anarchist geography sessions. That session turned out to be a prototypical AAG moment where I met numerous people in person finally with whom I’d been corresponding for some time. Sarah’s paper opened with a controversy that erupted last year around a performance by The Queers in Ottawa (which I caught wind of through social media channels) and expanded into a discussion of scene identity and spatial dynamics in Canada’s capital city. Stay tuned for more appearances from her in this recap. Wednesday evening gave me the opportunity to spend quality time with some old CSULB friends. Because Long Beach State is a two-year program, nobody with whom I studied there (2011-2013) is still actively enrolled, so every year at AAG I get to meet a handful of excited new grad students. Many of the faculty, some of whom I’ve been fortunate to keep in contact, have remained, obviously, and I couldn’t imagine a more fun and eclectic mix of people to get reintroduced to every couple of years. Crashing the UCLA party with the Long Beach cohort. Boyston Street. This year, my friend Anna, whose final semester of undergrad overlapped with my first semester of grad school, began her Master’s there. She introduced me to several new members of their department; I was proud to see such expansive involvement from the CSU grad students, considering how few of us even made it to AAG in 2013 (when it was in Los Angeles). Seeing the level of dedication the new group had, considering how far they traveled in order to get there, spoke loudly of the growth of that program since I left. In fact, several of them were not even presenting papers or posters and were there primarily on their own dime. I had already been impressed with the handful of Long Beach geographers I had met by Thursday morning, but I ran into Anna, Dr. Paul Laris (longtime department head), and a new congregation of them on Boylston Street on my way back from Cambridge on Friday Night. We wound up talking about music, eating tator tots, and closing out the Bukowski Tavern (perhaps the most appropriately named bar I’ve ever visited). Predictably, the biggest-ticket event of AAG 2017 was the conversation with and presentation of the Atlas Award to Noam Chomsky. The crowd was unlike anything I had seen at an AAG meeting previously, even if other Atlas Award winners like Julian Bond (Tampa 2014) deserved just as big of a crowd (and had a ballroom equipped for as many attendees). AAG Executive Director Doug Richardson, who first interviewed Chomsky for an anarchist newspaper in 1976, hosted. A few key moments within the interview stood out. My friend got to the ballroom fairly early and saved me a seat near the front. From there, we got to watch at least a dozen attendees stand and take photos of Richardson as he prepared his notes. He would, toward the end of the talk, address his resemblance to Chomsky, but he did nothing to stop these adoring fans from taking his photograph, clearly thinking he was Chomsky. Anyone could Google Chomsky and find his age (he is 88 this year), which would mean Richardson would have been an incredibly well-preserved 88. Also, it seemed strange that the guest of honor would have just been sitting on the stage by himself before the main event. Second, throughout the interview, Chomsky and Richardson discussed the neoliberal model, which came to irrevocably harm cities like Detroit, which was near and dear to Richardson, a Michigan native. Richardson mentioned offhandedly that he supported the idea of the AAG holding an annual meeting in Detroit, which I happily applauded, which trickled out into a smattering of other applause from isolated points within the crowd. I was happy to see someone on the AAG Executive board voicing support for holding the meeting in a city that (1) has deeply suffered for the past few decades and (2) is relatively cheap. I know it is a topic of contention; I got into heated conversations about how AAG Tampa may have been my favorite so far with people who hated it that year. The third noteworthy moment actually occurred after I had to leave, but I heard about it via twitter from a pair of reliable sources. They set up mics on stands in the rows next to the stage for audience Q & A. Despite how many men rushed to line up, the hosts gave special privilege to one of the few women in line and told her to move to the front. A nice gesture that proved both self-awareness from Chomsky and Richardson, as well as a general acknowledgment of gray-haired white men in the Academy. And I say that as a graying white male: no panel discussion or paper session ever lost out from a multiplicity of perspectives and voices. Ruth Trumble, a good friend and former colleague, opens up the slow violence paper session on Friday Morning, April 7. One remarkable dynamic within academia is the forging of great friendships with people whose research you never get to see on display. Ruth Trumble (Wisconsin), who is doing great work on “slow violence” over the past two decades in the Balkans, is one example. From what I recall, the last time I saw Ruth actually present was at the 2014 UTK Geography Research Symposium (before it was even called GeoSym) while completing her MA at Tennessee. I was glad to finally change that this year. After Ruth’s paper, I got to walk directly across the hall to see my adviser Derek Alderman receive the Ethnic Geography Specialty Group teaching award. Even more rewarding was getting there in time to watch my friend and also-former-colleague Matt Cook delivering a sentimental speech about his work and friendship with Derek. I was grateful to be able to represent his current body of advisees as we all had a chance to say a few words about what Alderman has done for us. I shared my anecdote about how Derek went out of his way to meet with me at AAG 2013 when he had such limited time to do so, and why that (more than anything) was why I chose to get my PhD at Tennessee. I would need to go back to 2013 on these entries to see whether I mentioned this, but I committed to UT without ever having even visited Knoxville. I have no idea how often grad students make decisions in that order, but I’m pretty pleased I did. My example can also serve as a reminder to answer emails from students quickly, especially prospective ones, and make time for them. Though I have my issues (as many people do) with the algorithms that churn out the schedule, it worked out very well for me on Friday morning. Friday afternoon, however, was another story. Friday afternoon arrived, and it was time to meet a new group of co-presenters and present my methods chapter. At the same time (3:40 – 5:00 PM), the AAG scheduled both the cultural geographies Annual Lecture, as well as a paper session on music geographies which Severin Guillard and Joseph Palis (both of whom have made cameos on this site before) invited me to be discussant. I had to miss both, regrettably turning down the latter offer. It was all just bad luck from where I sat, but at least my paper session went incredibly well. Andrew McCartan and Heather Maguire (Brock University) put two qualitative methodologies sessions together, the first of which included two papers on queer methodologies and drew a big crowd of LGBT geographers. Our chair Catherine Nash (Brock) opened the session with a quick announcement that she would be keeping us all well within time and “running a tight ship.” This made me smile; my two biggest pet peeves are (1) paper sessions diverting from the published schedule and (2) presenters going over their time (often because session chairs do not hold them to it). It follows that one usually leads to the other. The session was tight in more ways that one; the room in the Marriott Hotel to which we were assigned was incredibly small. My event-production impulses kicked in as the first paper began and more people kept quietly entering. Rae Rosenberg and I were pinned behind a conference table next to the projection screen, so I had to (using mainly gestures and lip-reading) ask the fourth presenter, Jeff Rose, to transfer an empty chair next to the projector to the back of the room for the women sitting on the floor against the wall. Fortunately, he knew exactly what I meant. We may have had one or two spectators sitting on the floor, but we managed to get most of the presenters behind the tables and the available spots opened up. It’s always gratifying to watch geographers pull together as a group and suss out a potentially chaotic spatial situation; either way, there was no way this session could have surpassed the crunch of our Back to the Future panel in 2015. The session opened with a video submission from Beyhan Farhadi, who chose to remain in Toronto, citing an alternative AAG gathering for Canadian/international geographers. Her presentation talked about virtual research methods, e-learners, and included an adorable video of her and her son (playing in the snow) imploring her students to sign up for her study. I was disappointed to not get the chance to meet her in person, but I was grateful for her statement, which echoed many concerns from AAG members who felt unwelcome in the United States given anti-Muslim/Arab/Persian/Levantine/et al. sentiments coming from many in power. One silver lining, I realized, may be a greater motivation for the AAG to finally go to Toronto one of these years (after 2022, at least, through which they announced the next 5 meeting locations). Add that to a list of cities where the AAG should go, but probably won’t. Rae Rosenberg then presented work on homelessness among LGBT youth in Toronto, which focused mainly on reflexivity. Heather Maguire followed with covert research into anti-LGBT groups, which I found fascinating for multiple reasons. First, it subverted (or, at least professionally sidestepped) the IRB superstructure, and second, it was ruthlessly important to qualitatively understanding the antiquated thought processes of those who are still anti-gay in 2017. Both Rosenberg and Maguire called forth the concept of queerness-as-political position. Rosenberg also reminded me of how inherently politicized geography is. For example, prisoner-correspondence programs (a component of Rosenberg’s work) inherently chip away at the Prison-Industrial complex. Rose’s presentation, focusing on participant observation within a homesteader community in Utah (and its inherent contradictions), was also great and at times hilarious. You could have probably guessed it was a good session because I did not pause to take any photos. I’m sure that some exist, though, and I’ll re-post them if I do find any. Here is the exciting part where we leave the conference grounds and discover the true geography in the city. Mid-day on Thursday, Sarah Gelbard and I headed over to Newbury Street to grab pho, talk about our respective towns, and figure out where we stand in (a term that seems less funny every time I use it) punkademia. Later that day while I was in a conference whirlwind, Sarah sent me a message with a link to an event for a show that night. I filed it away and I forgot to look at it until later on, when I happened to be at a pub in Allston to meet up with some local friends. I realized, through pure happenstance, that this show happened to be about a 5 minute walk away! I said my goodbyes and headed down to O’Brien’s Pub, where I found Sarah, UK-via-France anarcho-geographer Martin Locret-Collet, and their colleague Filipa Pajevic. O’Briens felt like the quintessential corner bar filled with good people and modestly priced (for Boston, anyway) drinks. Rather than go to one of the dozen delicious Korean or Middle Eastern spots within walking distance, I made the mistake of scarfing down bar hot dogs. Sometimes, convenience is a bad influence. Still, it was fun getting to know Martin and Filipa, and the show itself was ear-splitting fun (Sarah actually had earplugs, to her responsible credit). Local favorites Rebuilder and Charlotte’s Dollar Signs rounding out a bill headlined by Devon Kay and the Solutions. I say “apparently” because hints were dropping that another band were going to show up and play a surprise set. I did not remember who Devon Kay was, which made it all the more shocking when his main band, Direct Hit!, showed up to close out the show (and the bar). SAYYYY WHATEVER YOU WANT TOOOOO…. Sarah and I could barely believe this turn of events. Direct Hit! may not be a household name like NOFX, Rise Against, or Bowling for Soup, but they have toured with all of them (the latter, actually, were why DH! were in Boston that night in the first place), and they’re currently one of the biggest draws among independent pop-punk bands. This was all going through my mind as I sent jealousy-inducing texts to a select few friends that would have loved to have been there in my place. 2014, Tampa. I discovered, upon picking up the local alternative weekly paper that the Dead Milkmen were playing at a local metal bar that Saturday night. Because it was so close to the event (and this place was tiny) tickets were extremely sold out, and my friends and I had to watch and listen from outside (it still counts, though!). 2015, Chicago. A friend of mine living and working as a lawyer in Chicago invited me to the Beat Kitchen to check out Pile, a mercilessly creative/proggy metal band from Boston. Later in the week, I returned to the Beat Kitchen to see Joie de Vivre, a quintessential emo-revival group. I tried selling it to some colleagues as a “classic Chicago emo excursion,” but unfortunately Alt_AAG hadn’t coalesced by that point. Anyway, Joie de Vivre were great to see, if out of practice. While they were tuning up, I bumped into the drummer from Annabel, one of my favorite newer emo bands, who I hadn’t seen in a while. I had no idea he lived in Chicago. I’m just rambling now. 2016, San Francisco. A British participant at Geo-Slam started chatting with me about the Ergs! after the session, and mentioned that California (a newer band featuring Adam Pfahler of Jawbreaker and Green Day’s touring guitarist Jason White) were playing a small gig around the corner with All Dogs (a Columbus/Philly group I knew in the slightest). We had no idea, however, that Billie Joe Armstrong would be there, filling in on bass for California. Really. I also got to meet Gaz Coombes within 24 hours of this, but I’d been planning to see him play for months and he’s not a punk band, so I won’t count that here. I’m rambling again. The Direct Hit! incident made this the second straight year in which I had been invited to such a show by an international colleague which ended with an amazing surprise (keep this in mind when wondering how I’ve developed such severe FOMO). I’m fully aware that by cataloging these here I’ll probably jinx myself out of such an occurrence in New Orleans next year. I suppose that’s just as well, since New Orleans isn’t really much of a party town, is it? Ah, who am I fooling… there are already plans stirring for at least two different special events with me either at the helm or in a collaborative position. I’m very excited, but I’ll refrain from teasing the specifics here because (1) both just came from speculative conversations with colleagues and (2) I want to allow myself to not think about conferences for a few minutes. For now, I should probably take a break writing to get my presentation together for EmoGeo…. d’oh. Thanks for being a blast as always, Boston, and thanks to all those who came to see my paper on Friday as well as to those who put this academic and professional mega-event on year after year. Check back in this Wednesday for Part II of my AAG 2017 Recap, where I venture out into Boston for my latest adventures (if you could call them that) in Re-Photography. If you’ve visited this site before, I owe you an apology. If this is your first time here, welcome to my Geography research and musical fun-times yet completely professional website that I update all the time!! If you’ve been to this site before, I know I have no good excuse to not have updated this page in over six weeks. Honestly, the first few weeks of this semester have been characteristically busy, and I haven’t had enough time to write and report on what I’ve been up to lately to a standard which I’m comfortable putting out there. If this is your first time here… forget everything you’ve just read…and.. that you.. know about Geography! Because I’m about to blow your mind? (That works). Visited before? I also despise over-sharing, which may be helpful if you’re preoccupied with validation on social media, but it can be harmful on Planet Academia. First time here? Then let me tell you a little bit about what I’ve been up to since my last transmission. Due in large part to the gracious support of the McCroskey Fund, I took a hybrid conference/research trip (not so sure if I’d do that again; it’s so difficult to make enough time for both when you’re only in a city for less than a week) to Boston. 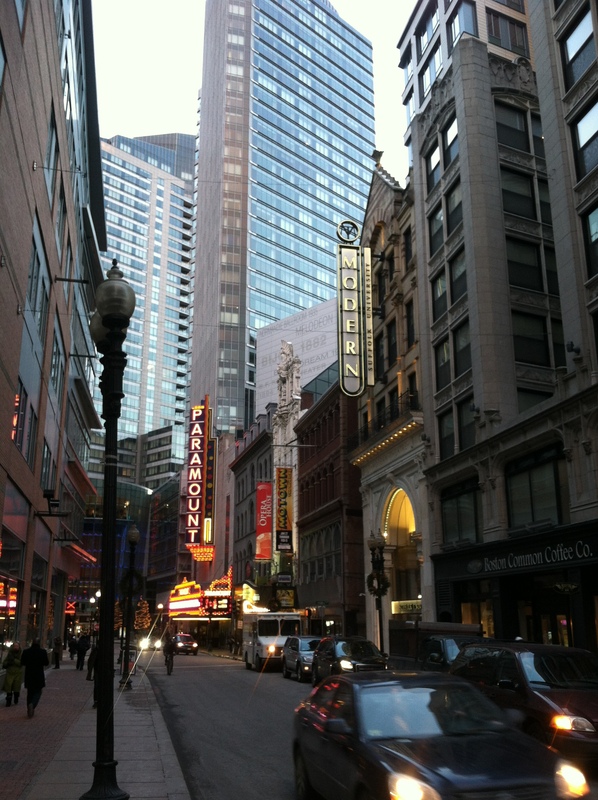 I’ve always loved Boston, and because I was born there, it’s always felt like home to me. This, among other reasons, was why it was so exciting and rewarding to peel back all sorts of layers to the Boston that I never knew, nor did my family before we left 28 years ago. 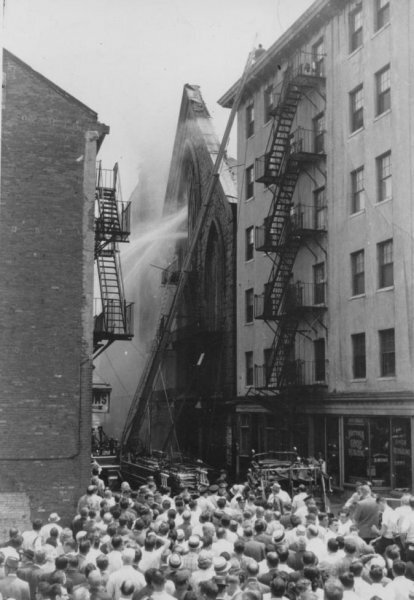 Honestly, I don’t have deep roots in the city; my parents both grew up in Connecticut and my father just happened to ride out the “Massachusetts miracle” working for FEMA more than two decades prior to them accruing wide-scale public hatred (he got out years ago, and was fairly relieved that he did). Whenever I’m riding the Green Line T, I still think about my Dad’s stories of riding to work in the dead of summer before any of those cars were air-conditioned. 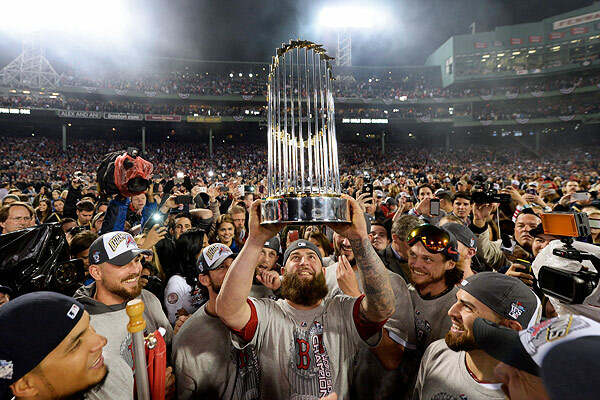 Perhaps even more remarkable, at least according to him, you could – get this – decide at a moment’s notice to stop by Fenway Park on the way home from work and enjoy a game from the cheap bleacher seats. These were not these Red Sox you’re thinking of who you need to arrange months in advance a mortgage your home to see, person reading in 2015; these were those Red Sox – the lovable losers who barely tasted greatness before Mookie Wilson, Rick Aguilera, and an upstanding young man named Darryl Strawberry swiped it from their mouths in ’86. Anyway, whether or not you’re a first-time visitor or returner, you probably didn’t come here to read my family history or rants about baseball, as much fun as I have digging into either from time to time. I was in Boston for two purposes. One was to attend the Harvard Hearing Landscape Critically conference. A joint cross-pond production between our most prestigious university and the Brits’ most prestigious (Oxford) that focuses on the interaction between music, sound, and the ether which surrounds us, for lack of a better term. While I don’t have nearly enough of a music theory background to claim I could incorporate quite every paper presented there into my research, I did find numerous relevant overlaps (one, in particular, circulating the Baudelarian conceit of Flânerie and Maurice Ravel’s urbanized works). In fact, the scholars I met there, while few were geographers per se, had a lot to contribute to the realms of Urban Geography and theory, even if they do not consider what they do geography. More on that sometime soon. Monocle and top hat not pictured. (Apologies to my Harvard friends). While I was attending sessions and meeting interesting theoreticians from all over the world (well, North America, Europe, South Africa, and Oceania, at least), I was doing double-duty as an researcher for the University of Tennessee. As some of you may recall, I presented a paper on the process of place-memorialization through song at last year’s AAG meeting (see my Work page). It focused mainly on the works of Francis Whiting “Frank” Hatch, Sr, a classic Bostonian who made his living working for a major advertising company after graduating from Harvard in 1919 while writing poems, songs, and plays on the side. I approached the trip with relatively few leads, but those I did have, like Duane Lucia at the West End Museum and author Dave Kruh, were incredibly helpful and led me in several potentially fascinating directions. 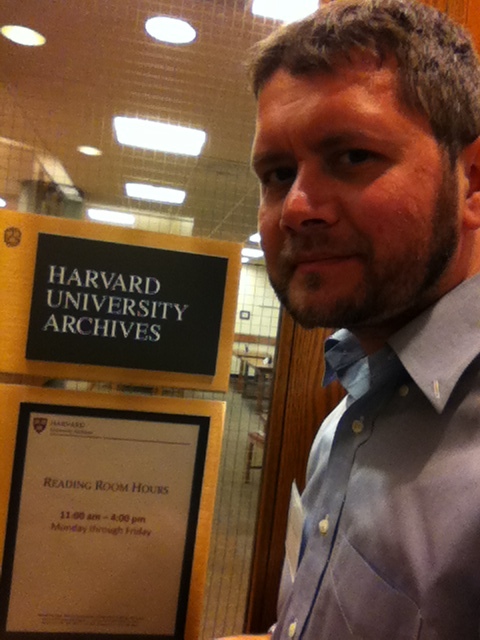 On Friday the 16th, I paid a visit to the Harvard Archive, where Hatch’s student and alumni files are kept. I’m never going to sleep on visiting any University’s archives again. What a treasure trove, particularly for my research. Special thanks to the enthusiastic and helpful staff there! I would love to be able to share some of the pictures I took, but unfortunately, that will have to wait. One of the places that Hatch worked tirelessly (and ultimately unsuccessfully) to save was the Old Howard Athenaeum. David Kruh very helpfully led me to a spot that words cannot even quite explain, so I’ll give pictures some breathing room to attempt it. That (approximate) site, January 2015. Photo by Tyler. Pretty harrowing what a difference five decades can make, right? Actually, massive-scale urban redevelopment that flattened a quarter of the city by the end of the 60’s certainly helped. 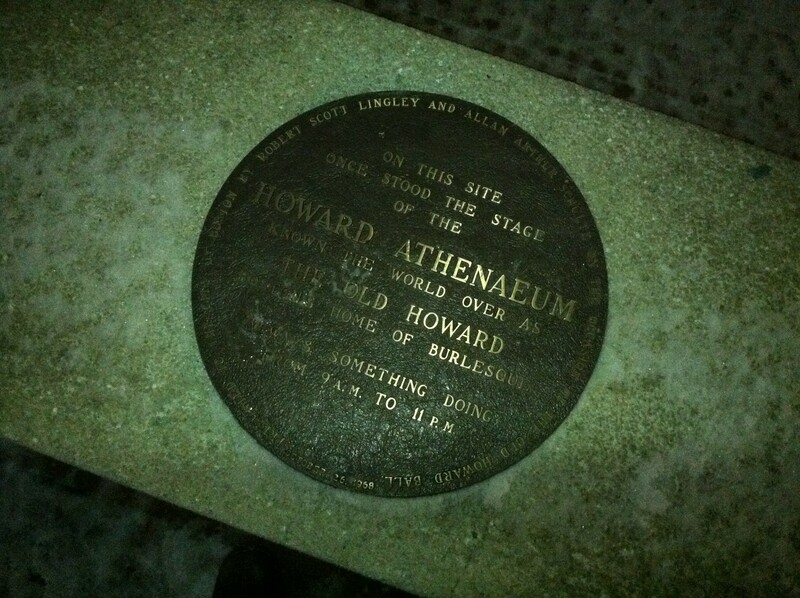 It took me a while to find it under a thin layer of snow, but the site where the Howard once stood exists as a faint memory in the form of a plaque on a bench on that smoking grotto next to that guard house. The rest, they say, is silence. 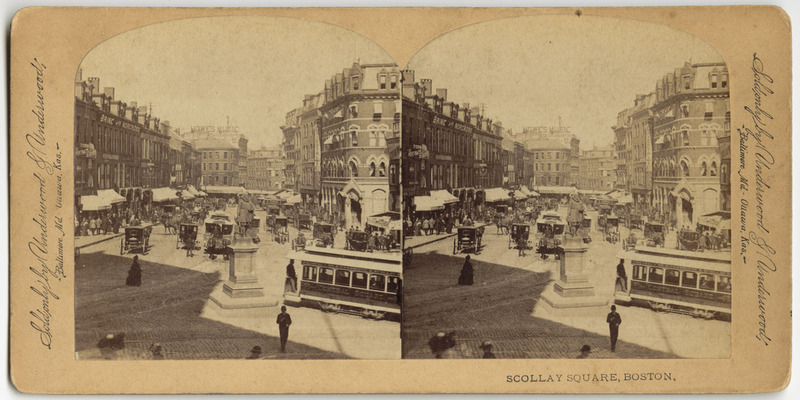 All that’s left of Scollay Square is a patronizing road marker sitting across the street from a Starbucks next to the Government center construction pit. If there’s a better example of a city-as-(constantly injured) living organism than Boston, I would love to see it. I raced to get here before the sun was completely down. A city’s position within its time zone can pose a bigger challenge to visual methods than any weather. From what I can gather at this point, I may have been facing the wrong way and a few hundred feet too far South, but I got the general vicinity and neo-brutalist aesthetic part correct. Also, if you’re unfamiliar with the Boston busing crisis of the mid-1970s, particularly any of you with interest in what’s happened in Ferguson, Staten Island, etc., take a few minutes, click that link above this photo, and please read up on it. No matter how many imperfections my research exposes and alters my reality of the place, Boston is a fascinating city, and it will never not feel slightly like home. I’ll speak to you all soon. For those of you who’ve been here before, I hope you keep coming back. For those whose first time it was on here, I hope I’ve interested you enough for you to make it a habit. Thanks for reading, all of you. Hey, everybody. I’m taking a few minutes away from the proceedings at SEDAAG (that’s the SouthEastern Division of the Association of American Geographers for anyone keeping track) to give a quick update. If you’re at the conference or happen to be in the neighborhood of the UGA campus, I’ll be presenting my preliminary research at a session I’ll also be chairing at 8:20 am. It will be held in the Georgia Conference Center room TU. 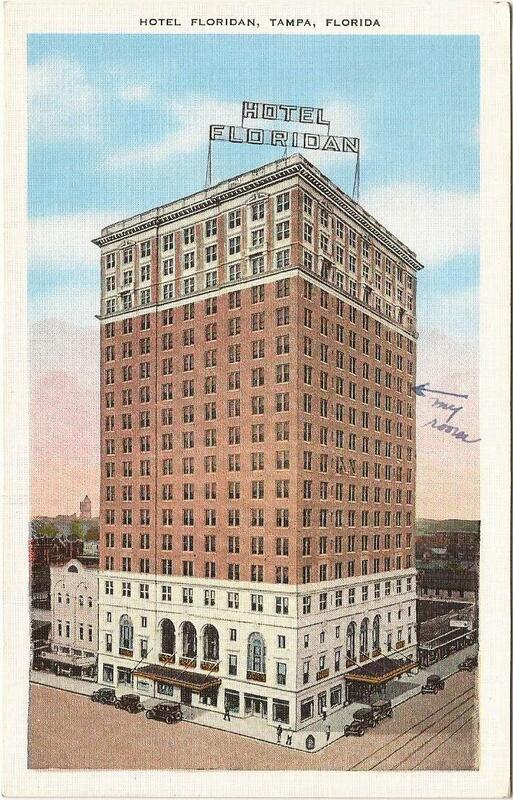 My presentation will be entitled “Frank Hatch and Memorialization of Pre-war Boston through Song.” It’s pretty straightforward, explaining how music is used to drive romantic narratives of a city’s “olden days” landscape. The conference has been great so far; it has been my first SEDAAG conference, so it’s neat to see how the regional conferences operate in light of AAG. Prior to this, I had presented at both CGS (California) and APCG (Pacific Coast), but I had no real frame of reference back then. I’ve had the chance to watch great research presentations about everything from GISc students pushing for the creation of bike lanes in central Georgia to “The Walking Dead” to the governmental intervention of domestic work of African-American women in the South in the 1920s and on and on. The only disappointing part of the trip so far (other than the most brutal near-freezing rain we drove through all of yesterday to get here) has been that I’ve been hanging out at Wuxtry Records for over an hour and Peter Buck hasn’t asked me to start a band! You lied to me, Athens mythology! On a serious note, if you ARE in Athens, do stop by the Special Collections Library on campus in case you’ve ever wanted to see the closest thing to an R.E.M./Pylon/B-52’s/Oh-OK museum you’ll find. They have Bill Berry’s “Chronic Town”-era drum kit, and a really fancy clear bass that Mike Mills used to play, not to mention all sorts of ephemera from the time before they were one of the biggest bands in the world. That’s all for now. I hope everyone is having an excellent November. The end of the semester (and arrival of more frequent/substantive updates) is nigh. I’m not actually staying in this hotel. I may need to go check it out, though. It’s hard to believe that the AAG Conference is almost already here. I’m looking forward to seeing some old friends and making new ones over a backdrop of near-constant happy hours and pontificating. I’m working on posting some background here about the research I will be presenting in Tampa next week. In case I’m not able to (and you’re in the Tampa Bay area), here’s where you can see me. Copied directly from the AAG Program. ‘The Boston I Knew is Lying on the Ground’: Reinterpreting Boston Landscapes Through Song. Evoking Las Vegas Place Particularity and Typicality through Popular Music. Lost in Translation? The Role of Place in Swedish and American Music Media. Performing Gender in Eastern Kentucky’s Old Time Music Community. .